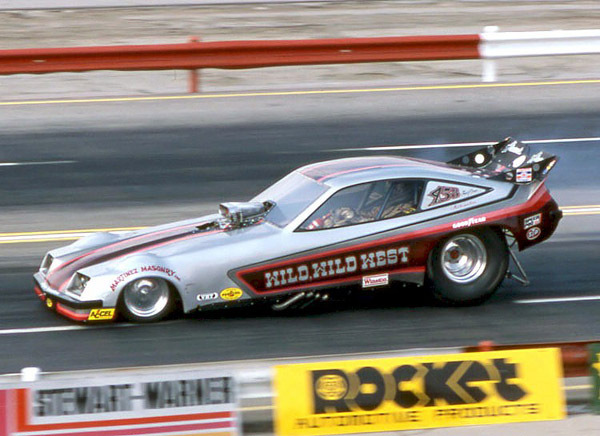 Bill Hoge had one of the best names ever for a funny car. 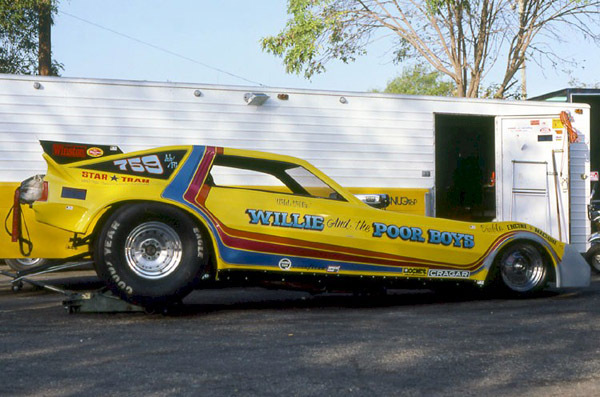 ‘Willie and the Poor Boys’ was taken from the classic Creedence Clearwater Revival song. 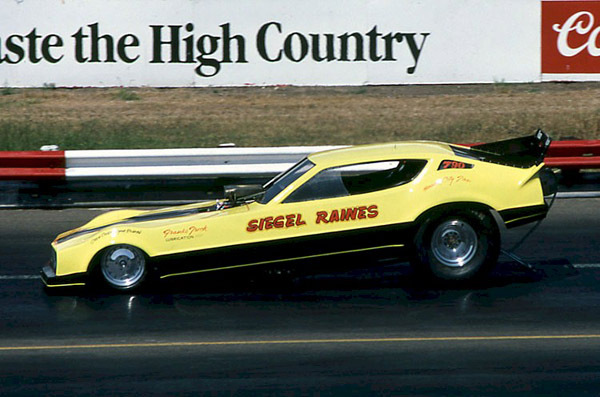 Hoge and his brothers had raced Junior Fuelers, Pro Compers, and a BB/Funny Car. The team made their entry into AA/FC in the late seventies. 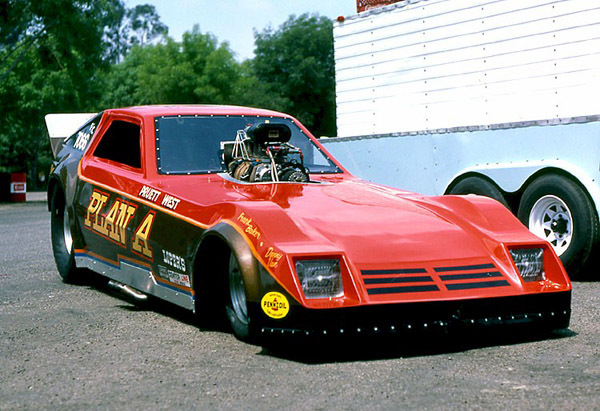 Bill earned extra money by doing stunt driving in movies. In fact, it was the stunt driving for More American Graffiti that paid for this Omni and the tow trailer. 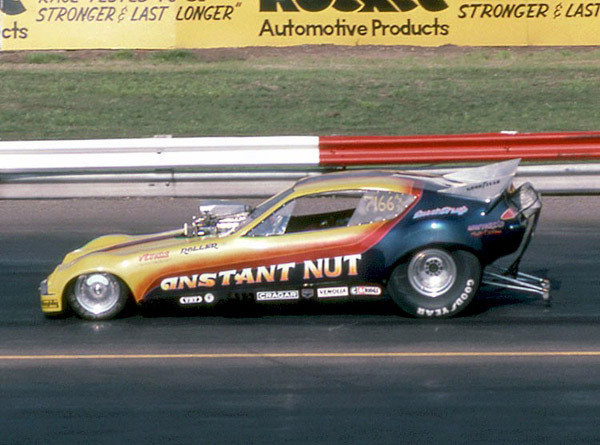 ‘Mighty’ Mike Van Sant had a long history of funny car racing going back to the late sixties. 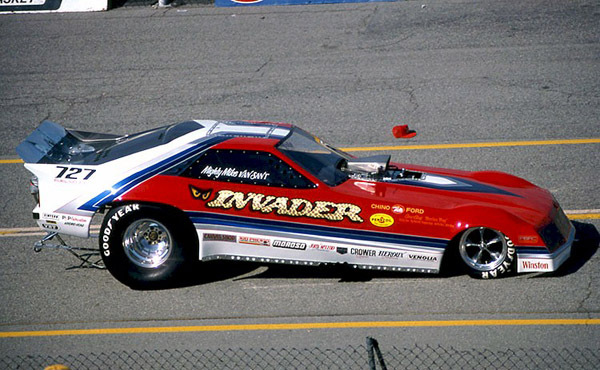 Van Sant raced the ‘Invader,’ Stone, Woods, and Cook, and the Hawaiian funny cars. 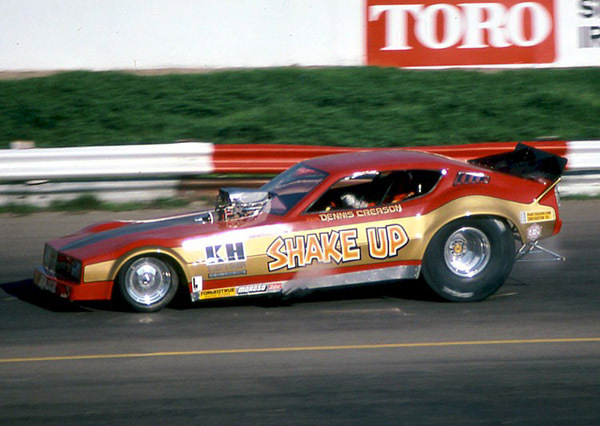 In 1976, Mike built the best car of his career, a 1976 Chevrolet Monza. 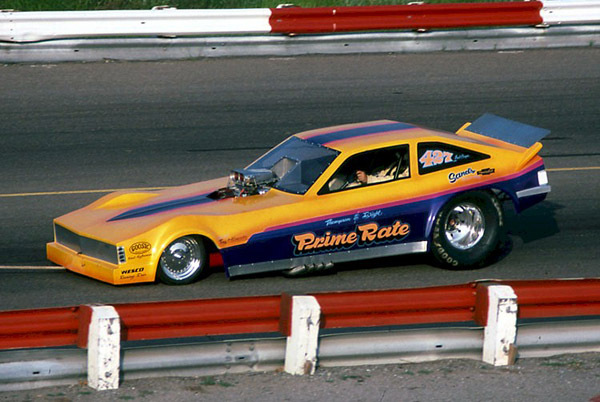 In 1981, he laid down his best ever pass, a 5.97 at the World Finals at OCIR. 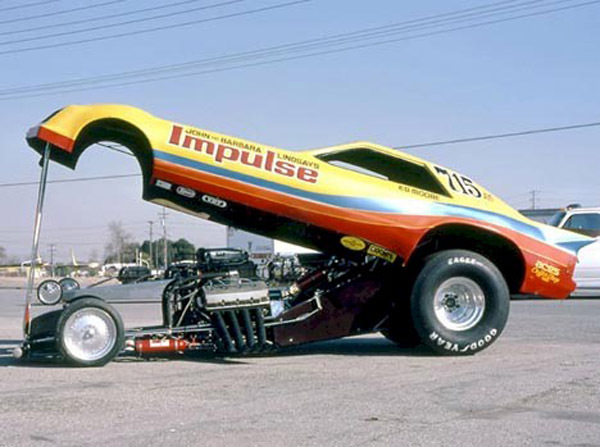 It was the quickest funny car field to that point in drag racing. 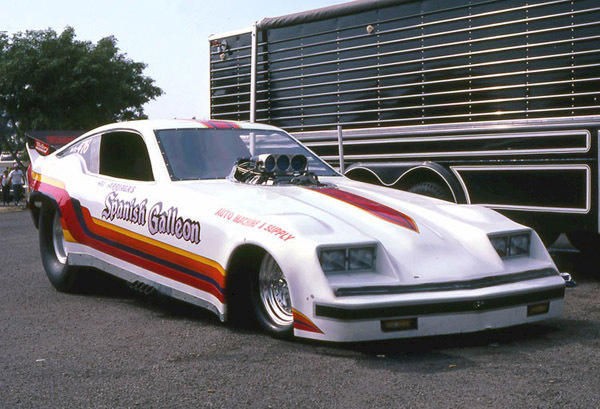 In 1982, Van Sant updated the Monza with a new Iversen built Mustang body that featured a sharp paint job designed by Kenny Youngblood. Mike even put a pair of polished American five spoke wheels on the front.